Here are some programs you could be listening to this week if you were living in 1941-43. Actually, there are radio stations that still play these shows as "nostalgia" features, though after all these years, I wonder who listens. Old radio seemed to have peaked two or three decades ago when its original listeners were still young enough to enjoy looking back. Now it’s a matter of another generation recalling the golden age of radio nostalgia. Those who experienced it all first hand are fast disappearing from the scene. Have young people come along to take up the banner of radio fandom? There’s a lot of activity on the Web --- many fine websites are devoted to vintage radio. It’s like serials. Unless you grew up experiencing these things new, there’s just no way of understanding what the effect was like. You have to imagine the initial impact when you listen to old broadcasts. Still, there are many treasures to be found in these old programs. Thousands, in fact. The Sirius satellite radio group has recently added a station devoted to old radio. I should take more time to listen. The problem is, I’m just not oriented toward radio as a regular habit. It was all over by the sixties when I was growing up. Kind of a shame, really. I know I’m missing out on a lot. Maybe I'm an abberation (My finacee would certainly say so... ;) ) but at age 37 I've been listening to old time radio series since I was a pre-teen and discovered a 2-record Jack Benny collection in the comedy section of the local library's record/ AV department. Over the years, I've sampled lots of series and have found my favorites- Benny, Green Hornet, Johnny Dollar, I Love A Mystery, LUX Radio Theater to name a few. I'd like to think that there was a brief resurregance in radio drama in the late 70s/early 80s thanks to public radio's NPR Playhouse, which adapted many books (DOC SAVAGE, CANTICLE FOR LIEBOWITZ) and did original series (JACK FLANDERS) as miniseries. Fortunately, the BBC are still producing radio dramas and comedy series. Yes, the original listeners are dying off but there really are a few young people who are acting as missionaries for the art form. Sure, they'll never be able to hear it in context but the best of OTR works on its own and is really as good or better than most other forms of entertainment. There is admittedly a lot of dated drek but what works STILL works. I know one 22 year old girl in Chicago who won't even CONSIDER dating a guy until he listens to Jack Benny! I once wrote that if dramatic radio isn't available to be discovered on its own merits by young listeners then it will be fated to be studied only by scholars in dusty libraries like Sanskrit writings. The fact that more and more ARE discovering it these days tells me that's NOT going to happen just yet. Scott Eyman, in his book The Speed of Sound, says that silent movies are the only art form ever to have been discovered, embraced, and abandoned by a single generation. I think the same may also be true -- or nearly so -- of OTR. That said, it's often surprising to see how many old radio shows lasted years past 1950, the time when we generally think of TV as having conquered the home entertainment field once and for all. 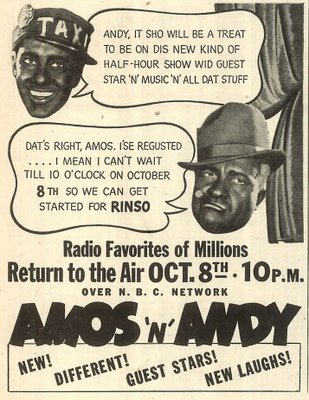 I remember a long road trip with my family in 1960 when we listened to the last broadcast of Amos 'n' Andy on the car radio. It was a classic case of "Did he die? 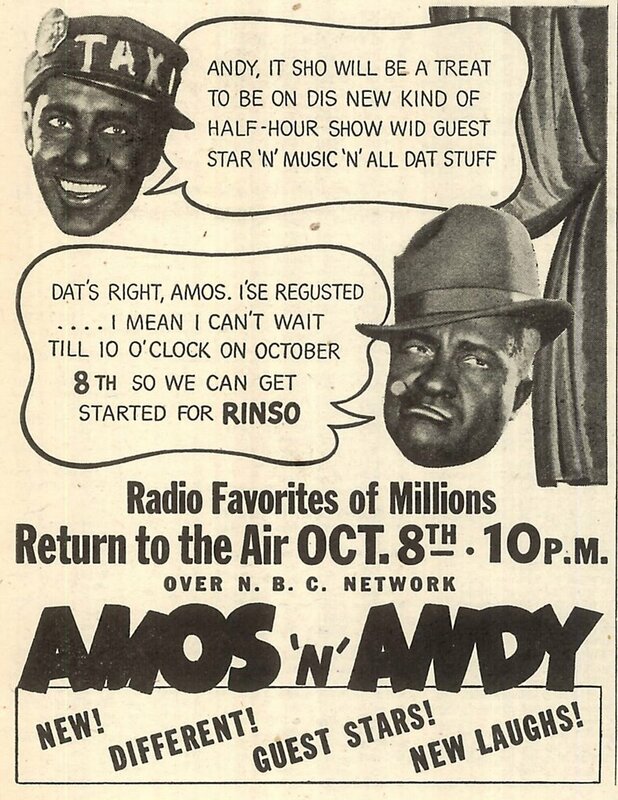 I didn't even know he was still alive"; I was astonished to realize that Amos 'n' Andy was still on the air. Among high-toned cineastes, Woody Allen's Radio Days is generally regarded as one of his lesser movies, but I think it's one of his unsung masterpieces, precisely because it deals with how the radio permeated every facet of American life in those days; very few movies, if any, have done that. Movies of the '30s and '40s with a radio background (e.g., Wake Up and Live) took that influence for granted, while later movies seem simply to have ignored radio altogether. I've always been something of an enthusiast for OTR, but seeing Radio Days gave me a genuine, heartfelt sense that I really missed something. In this site, you can listen to fragments ofgolden age Argentinean (plus one Cuban) radio shows. I myself restored the first file. 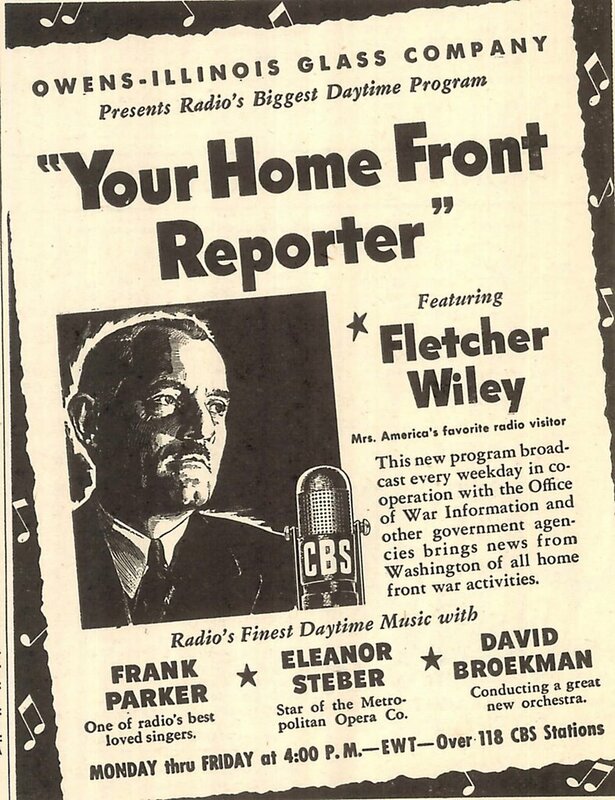 regular doses of Jack Benny, Gunsmoke, Our Miss Brooks, Frontier Gentleman, Fibber McGee and Molly, The Shadow, etc. the way of silent movies. XM also has an old-time radio channel (164). My family was one of the last holdouts in America, probably, to get TV, so radio was part of my early years. Unlike many of my age group, I remember listening to shows like Edgar Bergen & Charlie McCarthy, Corliss Archer, Phil Harris, Gangbusters, Jack Benny, and many more. There was something magical about radio, as opposed to TV; it depended so much more on imagination. 31 here, and besides being a huge fan of OTR, I believe narrative radio is a perfectly relevant medium just waiting to be rediscovered. I have a show of my own that I'm trying to pitch even now.